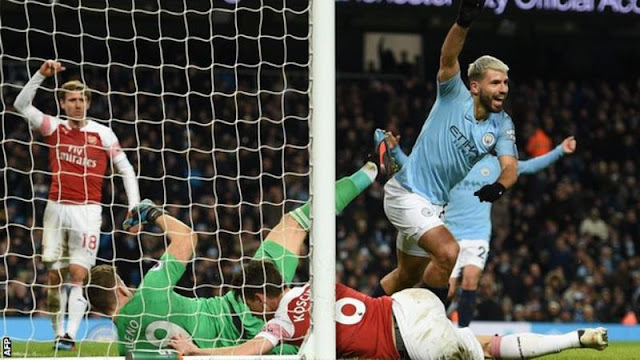 Sergio Aguero scored a hat-trick as Manchester City cut Liverpool’s lead at the top of the Premier League to two points with a vital win over Arsenal. The Argentine forward headed City in front after just 46 seconds from Aymeric Laporte’s cross. Laurent Koscielny marked his return from injury with a headed equaliser. City secured the points when Aguero struck from close range for his second and third goals – both from assists by Raheem Sterling.